Genealogist Carole Skinner and her neighbour Sally Ann Voak, pictured [right to left] were planning a First World War exhibition when they discovered a historical link between their village of Old Coulsdon and Bray-sur-Somme. 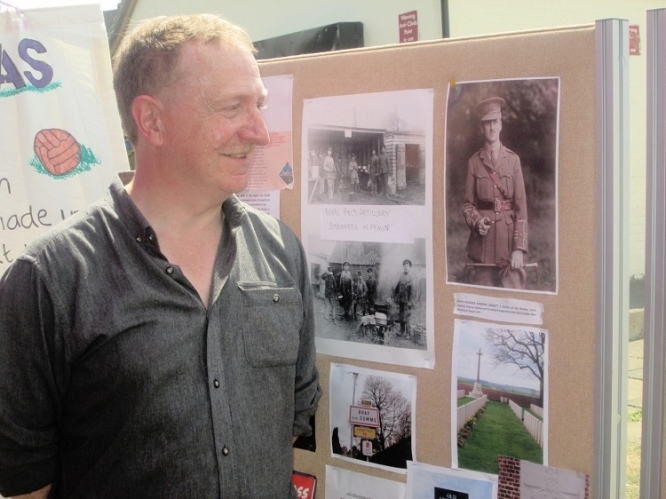 Sally said: “Carole was researching the life stories of the 41 men whose names are engraved on our war memorial when she found that 12 Old Coulsdon soldiers are buried in France. 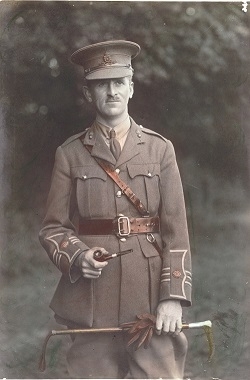 Before the war, Maj Bennett worked in the City of London as a stockbroker and lived with his family in a comfortable detached house surrounded by rolling chalk downs and wooded valleys. He was called up in 1914 and died on October 22, 1918, aged 38, in a field hospital near Bray after being wounded and gassed in the battle of Le Cateau-Cambrésis.